The raised firebox provides an uninterrupted view of the fire burning and allows usable space under the firebox. 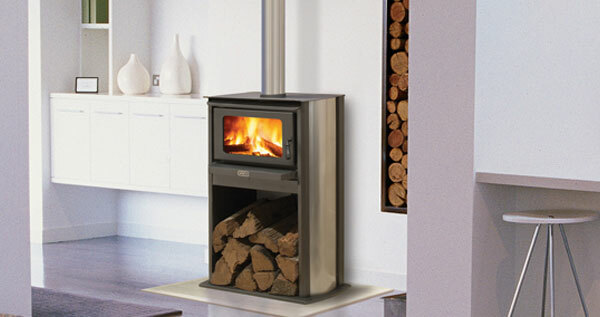 The slim nature allows the fireplace to be placed in almost any position taking up very little space. Placing a log into the fire has never been easier with no bending down required. A perfect feature and heater added simply to any home. A pre-heated primary air wash system creates a clear view of the flames. A large effective cook top.